EDS essentially allows you to download your purchase again for up to EDS_TIME_PERIOD, in the event your computer crashes or the downloaded file becomes damaged or corrupt. It can be thought of as an insurance policy in case anything goes wrong with your computer or the downloaded product. When you have downloadable items in your order, you will see a link to add EDS to your order on the shopping cart page or the checkout page. Upon payment of the specified fee, Digital River, Inc. ("DR") agrees to provide you (the "End User") a service that enables the End User to make multiple downloads of digital computer software products (a "Product" or "Products") purchased in a single order (an "Order") and downloaded from this Web site (the "Site") for a period of EDS_TIME_PERIOD after the date the End User purchases the Product (the "Service"). Click here for full details about EDS. If you have problems submitting your credit card payment you can contact Customer Service for help. When contacting Customer Service, please include any error message numbers you received, as well as the order number seen in the shopping cart. For purchases of downloaded products, your credit card will be charged within a day of the completion of your order. For purchases of physical products, if you purchased using a credit card, you won't be billed until your product is shipped. This includes any backordered products. If your items are shipped separately you will be billed each time a product is shipped. The charge for your order will appear on your credit card as: "CHARGE_DESCRIPTOR"
TAX_INFO_FAQ A national VAT rate will be applied on physical goods for customers based in EU countries. This VAT may not be shown as a separate charge during checkout and may instead be included in the product price (VAT inclusive pricing). If you are based in the EU and are purchasing for a company registered for VAT, you may not have to pay VAT on your purchase. Please enter your VAT exemption number when prompted during the purchase process. To be prompted for a VAT exemption number, be sure to enter a Company Name when entering your billing information. When your VAT exemption number has been validated, your VAT will be automatically updated to zero, if applicable. In the event that your order does not qualify for VAT exemption, we will not be able to remove this charge from the order. Tax-exempt individuals and entities in the United States can request a refund of the tax paid on an order. We will need a copy of your tax-exempt certificate and the billing or shipping address on the order must match the address on the certificate. You can fax a copy of your certificate, with order number or invoice to DR_US_FAX_NUMBER. Please, refer to section How do I manage my order, including viewing my invoice, downloading and activating my software, cancelling my order, and changing auto/manual renewal? If you order a physical product, Shipping Information fields will appear during checkout so you can enter a shipping address and choose a shipping method. What should I do if my payment fails, or if I do not receive an order confirmation and/or download and activation instructions? It is possible your order failed or did not complete due to incorrect payment method. Reasons may include (but are not limited to) a block on the credit/debit card, typing in the wrong credit/debit card number, or typing in the wrong expiration date. We recommend you contact your credit/debit card company to make sure there’s no block or insufficient funds. You can then log in to “My Order History” to correct the incomplete order, or simply place a new order. Placing a new order will not incur a charge on the incomplete (previous) order. If the issue persists, please contact Digital River support. Please be sure to provide the name and email address used to place the order. If your order has shipped, click here to look up your tracking number. Please be aware that some shipping methods do not come with tracking information. You can find a list of countries we are able to ship to displayed in the shopping cart during the purchase process. Although we try to maintain inventory of all products in the warehouse, occasionally an item will be backordered. Normally, additional stock will become available within a week. You will receive an email as soon as your product ships. If you purchased using a credit card, you will not be charged until your order has been shipped. How to change my name and password? If you want to change your profile information (name and password), click on My Profile and the screen below will appear. Change the values you need and click Save Profile for changes to apply. How to change or add address information? 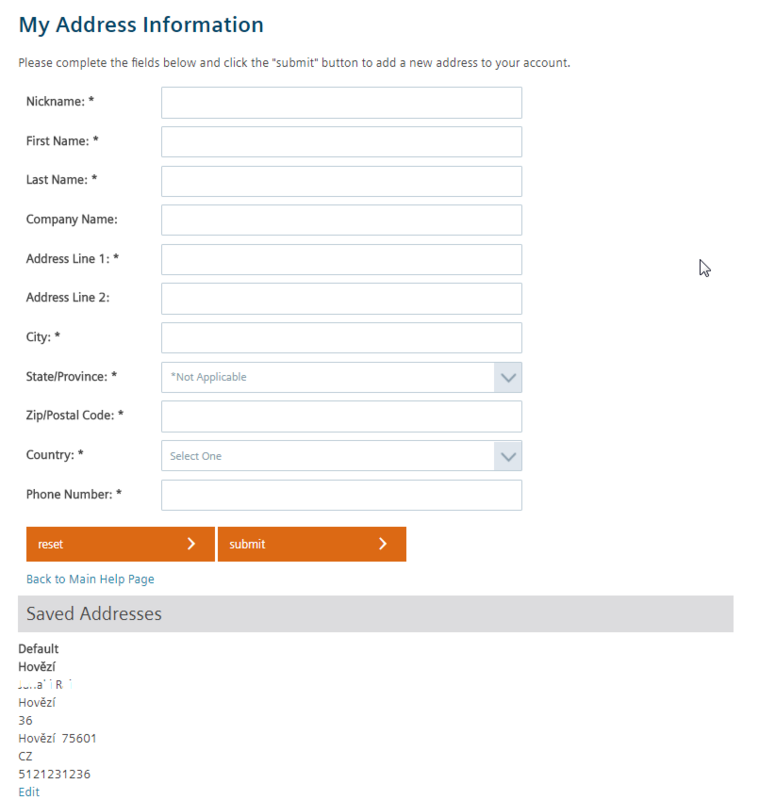 If you want to change your address information, click on My Address Information and the screen below will appear. You can edit and change the existing addresses by clicking the edit button at the end of each address. You can also add as many addresses as you want and use one of them as a default by filling in the below information. How to change my payment information? 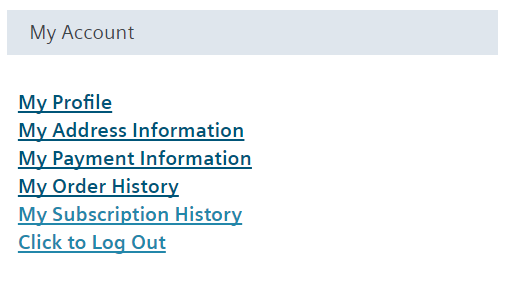 If you want to change or add payment information, click on My Payment Information and the screen below will appear. You can change your credit card number or add a new one by filling in the information below or reset the one you had. You can always define one of them as the default one. How do I manage my order, including viewing my invoice, downloading and activating my software, cancelling my order, and changing auto/manual renewal? If you want to manage anything related to your orders, click on My Order History. A selection of orders will appear, and click on the order number of the one you want to manage. Once you’ve selected your order, the screen below will appear. Details of the order will appear (product, quantity, subscription term, renewal type). If you need to download the software, click on begin download. You can also view the activation code that you’ll need to activate the software, located below the begin download button. By clicking the View Invoice button, you’ll be able to view the invoice in the screen, save, or print it. 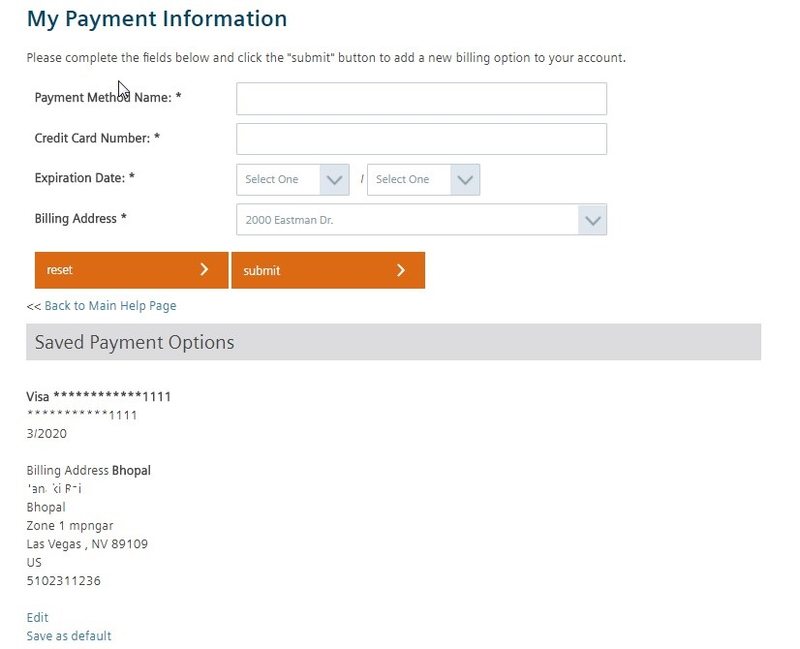 When clicking Manage Subscription button, the screen below will appear, and allow you to change your auto renewal to manual renewal, and change address and payment information, too. How to change Auto-renewal or Cancel an order? By default, when you buy a subscription, the renewal is set up to automatically renew. This means Auto-renewal is ‘On’, so renewals will automatically occur monthly or annually (depending on which subscription term you selected). To cancel a subscription or manually renew, please check “Automatic Renewals: Off” as shown in the screen below. If Automatic Renewals is off, a reminder email will be sent a couple days before the expiration date and the customer will need to click on the below Renew Now button if they want to continue using the software. If they want to cancel the subscription, no action is required and after the expiration date, the subscription will be cancelled. Firewall A firewall can prevent you from downloading a file. Anti-Virus Programs Anti-virus programs scan downloaded files and can stop a download. As a result, the file may not download or can become corrupted or damaged. Download Monitors Programs such as GoZilla! and NetZip are not compatible with our server and can stop a download. Screen Saver Screen savers have been known to interfere with a download or affect system performance during a download. We recommend you disable your screen saver before you download. If you need more assistance disabling one of the products listed above, please contact the manufacturer's technical support. If you have more questions or need help with your download, please contact Support Partner or Siemens Global Technical Access Center (GTAC) using the information below. There are a couple reasons why you wouldn't see a button (where there previously was one) to download your purchase. If the order is older than 30 days and you did not purchase the Extended Download Service (EDS) for your order, then the download period has expired. Please contact Digital River customer service for support. 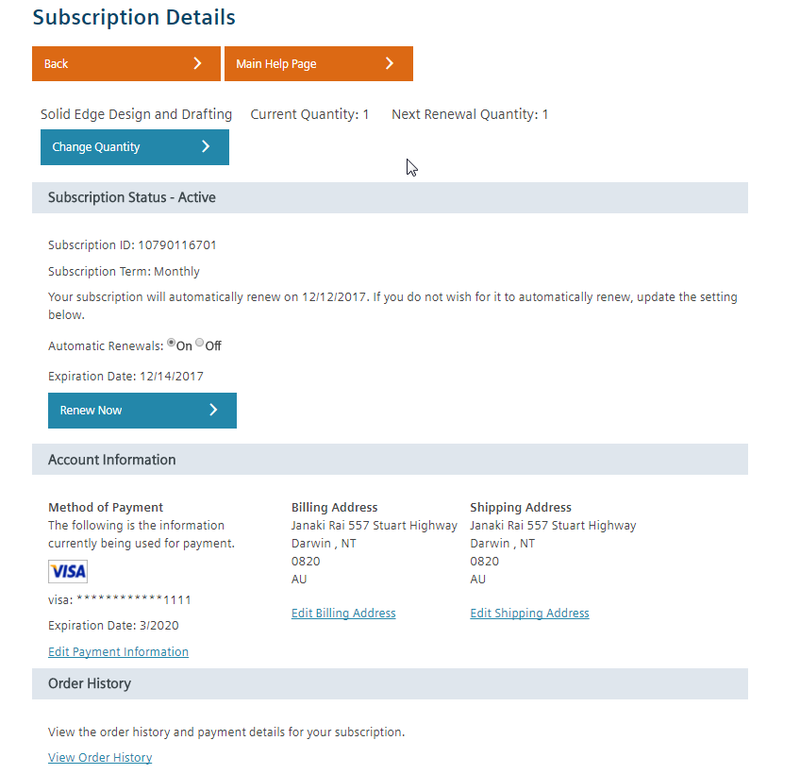 To purchase EDS for download products in a completed order, you must look up your order and complete an additional purchase. If your product requires a activation code, you can usually find it in the Order Confirmation email that was sent to you when you submitted the order. If you do not have your Order Confirmation email, you can get your activation code by looking up your order. What do I do if my activation code is not working? First, make sure you have the correct activation code. You can get your activation code from the Order Confirmation email that was sent when the order was submitted, or by looking up your order. Second, please note that activation codes, registration numbers, and passwords are usually case-sensitive. Make sure you are entering your code in the right case. If you still have problems, contact your Siemens Support Partner Or Siemens Global Technical Access Center (GTAC). It is possible to receive a refund if you request it within 10 days of your purchase or renewal. Please see section How do I request a refund? to see how to proceed. After the initial 10 days since purchase, it is not possible to receive a refund. However, you can opt out of the auto-renewal for the following month/year so your subscription doesn't renew again. Please see section How to change Auto-renewal or Cancel an order? to see how to proceed. Your refund credit will appear on your card 5 - 7 business days after we receive your completed letter of destruction (ELOD or LOD). As part of the Request a Refund process, you will get a screen to accept the ELOD. To cancel an auto-renew subscription, please refer to section How to change Auto-renewal or Cancel an order? to see how to proceed. Shoppers (subscribers) will receive the subscription service for the full time period for which they have paid, even if the auto-renewal option is cancelled. Cancelling the auto-renewal on a monthly or annual subscription means that the subscription will not automatically renew in the following period, but the subscriber may continue use of the subscription through the current, paid period. What are recycling fees in the United States and Canada? Many states, provinces, and cities have passed laws that obligate manufactures and retailers to handle the cost and handling of end-of-life electronics and electrical goods (eWaste). Digital River and our suppliers adhere to all local recycling and environmental laws that impact the products we bring to the market.Many of these laws require recycling fees to be charged at the time of purchase. The recycling fee helps fund recycling facilities in your area and ensures that this service is available to you when a product reaches its end-of-life. Fees collected for recycling are paid directly to the compliance agencies that coordinate recycling in your community. The compliance agencies then distribute the fees to the recycling facilities. Fees charged for products are separate from the membership fees manufactures pay to support the administration efforts of these recycling agencies. These fees go toward supporting recycling programs as mandated by law.However, in many states and provinces, the fees are already included in the product price and are not visible to the consumer. Where can I recycle my product in the United States? eWaste should never be disposed of with normal household waste. Even with current environmental laws, many devices contain substances that are harmful to the environment and pose a public health risk. Do products sold through Digital River meet RoHS standards? As reseller of record, Digital River is obligated to ensure that all products sold through our e-commerce platform meet the strict environmental requirements outlined in the Restriction on Hazardous Substances (RoHS) directive. As a commercial partner to our clients, we are not involved in the product design or manufacturing process. However, we contractually require our partners to adhere to the restrictions outlined in this, and all environmental legislation.